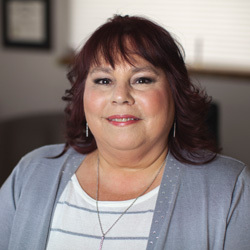 Carole Adams has worked for the Shah Law Group for more than twenty years, starting as an administrative assistant and promoted to Office Manager in 2002. As Office Manager, she oversees the firm’s finances and also serves as case manager for the office. During her more than twenty years of experience, she has assisted in the preparation of countless legal documents drafted by the lawyers. She has an in-depth knowledge of court proceedings and therefore is able to answer many questions our client’s may have regarding the legal process. 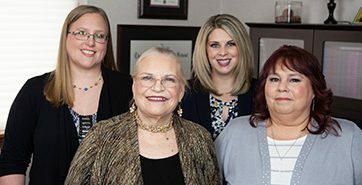 Most importantly, Carole serves as the liaison between Shah Law Group’s attorneys and clients. Her wealth of experience together with her empathetic nature allows her to be sympathetic toward our clients while skillfully managing their expectations. When clients come in our office they are greeted by Carole with a smile and a warm hello. Her compassion for the clients as they go through the legal process helps them to get through what is often a frustrating and frightening experience. She is the voice of calmness and reason which helps clients get through the stress and emotional difficulties they face. Carole is a native of Washington County and currently resides in Muse, just outside of Canonsburg. When not busy with her work at the Shah Law Group, Carole enjoys spending time with family and her dog, Cujo. Carole is a certified Notary Public.